Botas de caucho común clásico CV Mini Kit (interno y externo). Kit contiene Classic Car Part Yes. Classic Mini trasero eje Castillo tuercas R/H & L/H. Nota: estas tuercas de eje son caras y se hacen con hilos diferentes para cada lado. Así que asegúrese de introducir la tuerca correcta al brazo de radio del lado correcto. Classic Mini CV goma conjunto arranque Kit de interior y exterior (un lado). Kit contiene Classic Car Part Yes. 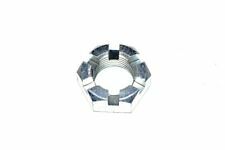 Manufacturer Part Number 18G9027. de caucho de alta calidad, hecho a la especificación del Reino Unido para OE. Manufacturer Part Number BHM7012. de caucho de alta calidad, hecho a la especificación del Reino Unido para OE. Manufacturer Part Number FAM9270. Arandela original split taper para detrás de la tuerca del cubo que va sobre la brida de impulsión común cv. ORIGINALE- MINI R50 One D, R52 R53 Cooper S. MINI Cabrio R52. Kit riparazione soffietto esterno. Cooper S Convertible (ECE). Cooper S Convertible (USA). Cooper S 3 doors (ECE). La pieza 33209813707 se encontró en los siguientes vehículos Mini R60 R61 Su compatriota Paceman. MINI Paceman R61 (03/2012 – 09/2016). MINI Countryman R60 (01/2010-10/2016). Origen: MINI Countryman Cooper S (R60). La pieza 33209813708 fue encontrada en los siguientes vehículos Mini R60 R61 Su compatriota Paceman. MINI Paceman R61 (03/2012 – 09/2016). MINI Countryman R60 (01/2010-10/2016). Origen: MINI Countryman Cooper S (R60). Here we have a quality CV pot joint, not to be mistaken for the cheaper alternatives on the market these have the groove for the clip which saves the driveshaft seizing. MINI: 31607518237. MINI: 31607518238. MINI: 31607518247. MINI: 31607518248. MINI: 31607533215. MINI: 31607533216. MINI: 31607574866. MINI: 31607574869. Part number is GCV1013 & GCV1102. 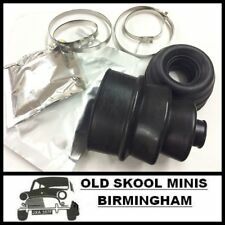 Here we have for sale an inner and outer CV joint complete kit for Classic Mini. This is a quality kit MADE IN ENGLAND. Part number for reference: 21A79. 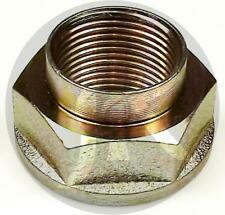 Classic mini front hub nut for all drum brake models. 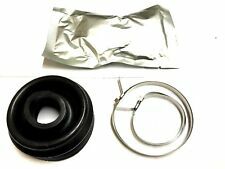 Classic Mini CV Joint Rubber Boot Kit Inner & Outer (One Side). 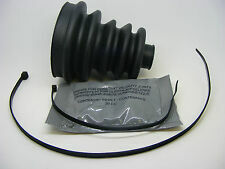 1x inner cv boot. 1x outer cv boot. Suitable for ALL Mini models. Kit contains. This sale is for ONE kit. 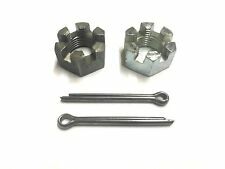 This kit contains the CV joint hub castle nut, taper split washer, driveshaft circlip and nut split pin. Kit is for ONE front disc brake CV joint only, two kits required per car. 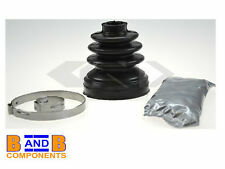 Classic Mini Inner Drive Shaft Rubber Coupling Kit.GCD101. 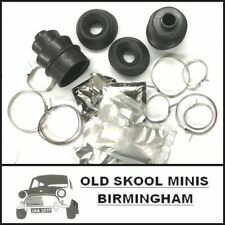 These were fitted to Minis from 1959 to 1973 before the introduction of the Inner Pot Joint. Not suitable for Cooper 'S' cars which use the Hardy Spicer U/J Joint. Austin Allegro 1.1, 1.3. Austin Morris 1100 1300 1/1972 onwards. Mini 1/1972-5/1984. Outer gearing wheel side 29. Internal Teeth, wheel side 19. Other Information. Part number is GCV1013. 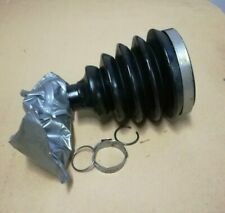 Here we have for sale a CV joint complete kit for Classic Mini. This sale is for ONE kit. Kit contains the CV joint hub castle nut, taper split washer, driveshaft circlip and nut split pin. Kit is for ONE front disc brake CV joint only, but two kits are required per car. Genuine mini. Brand new and unused. Definitely fits the R50 and quite possibly the R52 but I do not know for sure. Please make your enquiries as to whether this is the case or not. Car gone and I never got this fitted. Part number for reference: 37H8706. Classic mini driveshaft circlip. Thin driveshaft circlip for outer cv joint. Also replaced 22G2688 for the inner pot joint circlip. Part number for reference: GCV1102. 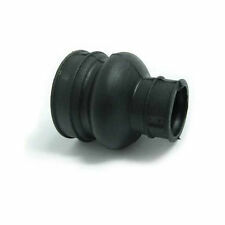 Classic mini INNER cv pot joint, this will fit all MANUAL mini models made from 1974-2000. This is the joint that extends from the differential. J&R CV Joints. BRAKE CALIPER. LAND ROVER. your vehicle. fitted throughout a production run or your vehicle may have been modified. So even if your vehicle. shafts are not suitable for lowered vehicles, call our helpline for advice if you have lowered vehicle. PART NUMBER: GCV1102. 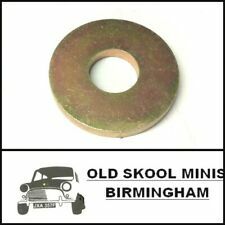 Pot joint inner CV drive cup for Mini 1974 onwards. MINI MINI COUNTRYMAN (R60) Cooper Estate Petrol 01/2010 10/2016 FWD 16 122 90. MINI MINI (R50, R53) Cooper S Hatchback Petrol 03/2002 09/2006 FWD 16 163 120. MINI MINI (R50, R53) Cooper S Hatchback Petrol 07/2004 09/2006 FWD 16 170 125. 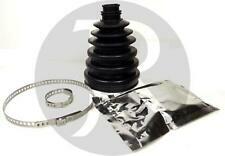 Classic Mini CV Joint Rubber Boots Kit (Inner & Outer). 2x inner cv boots. 2x outer cv boots. Suitable for ALL Mini models. Kit contains. MINI MINI (R50, R53) Cooper S W11 B16 A 0120 0163 04 04 03/2002 09/2006 Benzina. MINI MINI (R50, R53) Cooper S W11 B16 A 0125 0170 04 04 07/2004 09/2006 Benzina. MINI MINI (R50, R53) One D 1ND 0055 0075 04 02 06/2003 09/2006 Diesel. CLASSIC MINI OUTER CV JOINT KIT. CLASSIC MINI SPECIALISTS. OFFICE HOURS. BMW MINI R52 CONVERTIBLES ONE & COOPER. BMW MINI R50 ONE & COOPER. Un NUEVO Kit de arranque EXTERIOR CV. 1 x EXTERIOR CV kit de arranque (TIPO DE PLÁSTICO ). EAN 4019064148166. Se muestran todos los precios de envío. MINI MINI (R56) (R57) (R55). MG MG ZT 1.8 (T) 16V - 160 - 2.0 CDTi. ZT- T 1.8 (T) 16V - 160 - 2.0 CDTi |. ROVER 75 (RJ) (TOURER). CV INNER JOINT BELLOW SET DRIVE SHAFT. The information provided in the compatibility should be used as a guide only.